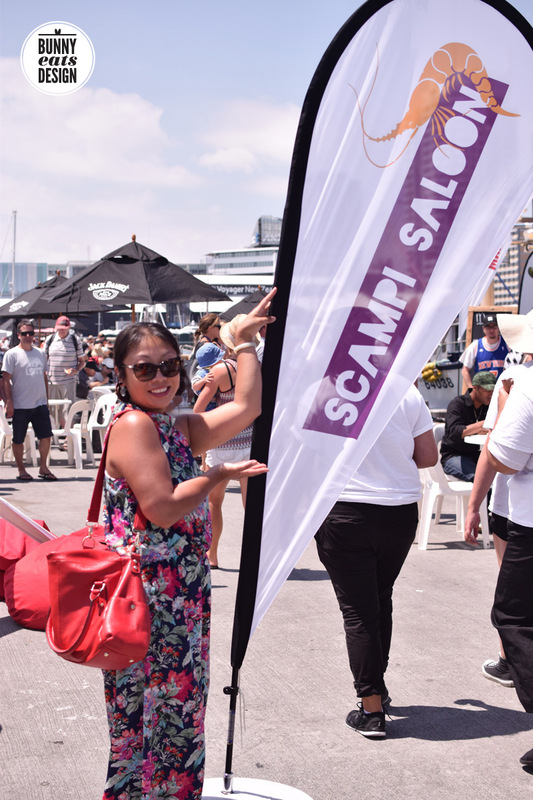 My seafood gobbling friends and I descended on the Auckland Seafood Festival at midday today with hunger in our bellies and a readiness to partake. Being the middle of Auckland Anniversary weekend, the city was BUSY. There was plenty of atmosphere and things to do. There still are. The layout of the venue at Halsey Wharf was quite different this year and the areas felt a little less marked out. No restaurant alley this year, but it was easy to navigate. There was plenty of seating, though the limited shade was snapped up quickly. The lines were short all except for the line for the Oceanz’s crayfish (from $25 for half) which was so long (about 40 bellies deep) we didn’t bother. My favourite dish was one from NSIA a school for hospo students. Pulpo in honey and balsamic, gazpacho caviar, Spanish olive soil, capsicum sofrito ($8). Pulpo is spanish for octopus and this dish was filled with bite size octopi. Quite an adventurous and sophisticated dish, it really paid off. We also tried their Smoked eel, pickled beetroot, citrus dressed watercress and yum yum yogurt($8). Also tasty and quite refreshing. Both dishes would have benefitted from forks rather than the bamboo picks that were given. 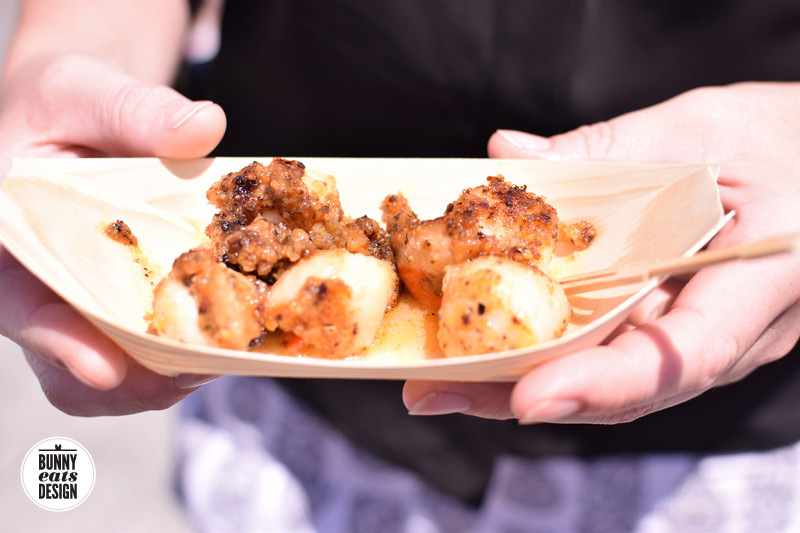 From Cathedral Cove Naturals, the Macadamia crumbed scallops ($10 for 5) were well spiced, could have easily eaten a few dozen myself. The grilled whole scampi ($20 for 3) from Sanford Seafood’s Scampi Saloon were sweet and delicious, thought the promise of baguette turned out to be more of a garnish that a side. No matter, we were here to sample seafood, not to fill up on bread. The mussel fritters were generously meaty and on very fresh bread ($8) with tomato kasundi and rocket. One of the nicest fritters I’ve ever eaten. It was cool to hop on the barge for a slight change of scenery, though the swaying can be challenging for some. I would have liked to see more barges like the Mussel Mania area. Maybe Scampi Saloon could be on a barge one day? It certainly expands the venue. 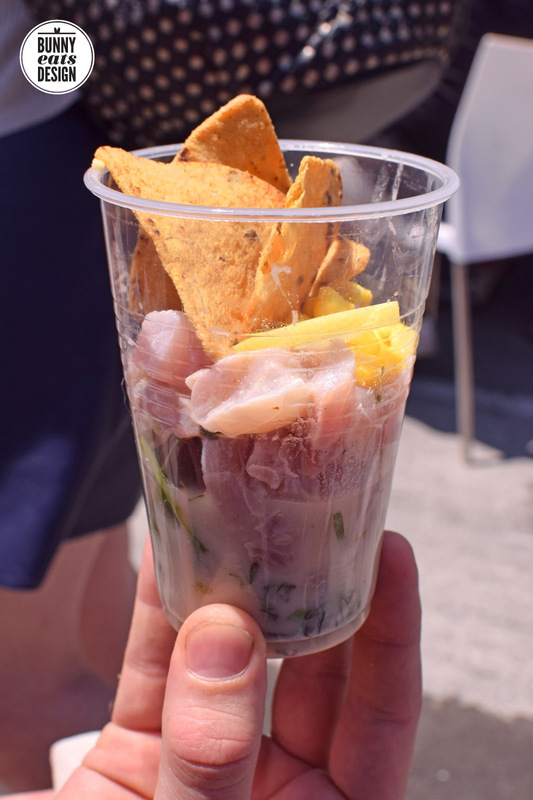 Besos Latinos was serving Peruvian Style Ceviche ($12) out of plastic cups. 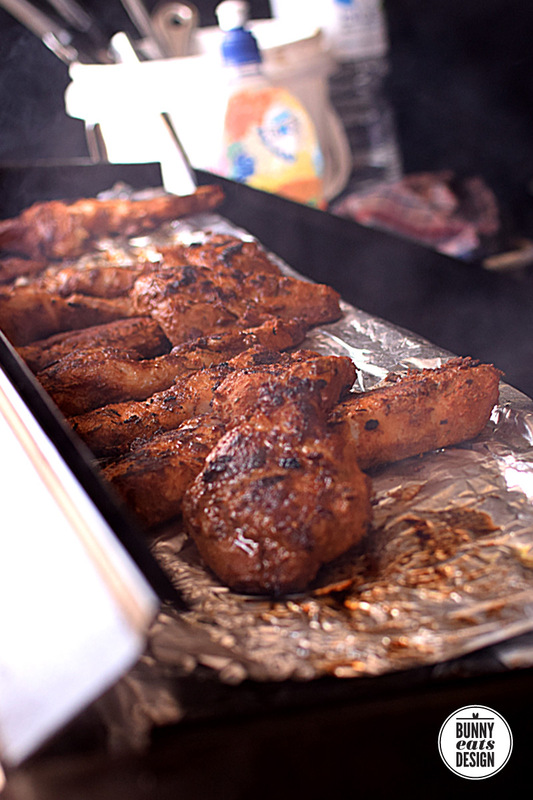 These were nice and cold, well seasoned and made from fresh trevally. I’d prefer this a brightened a little more with citrus. 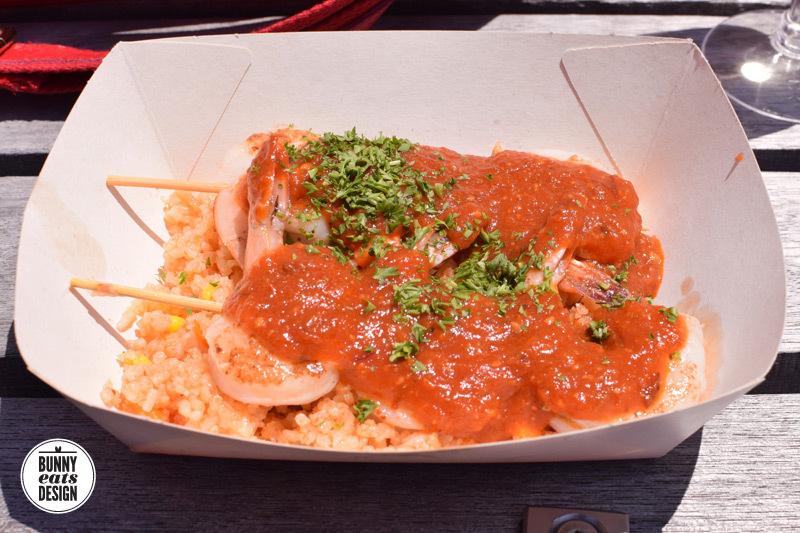 Their Spicy Prawn Skewers ($12) were indeed spicy and came on a bed of rice. 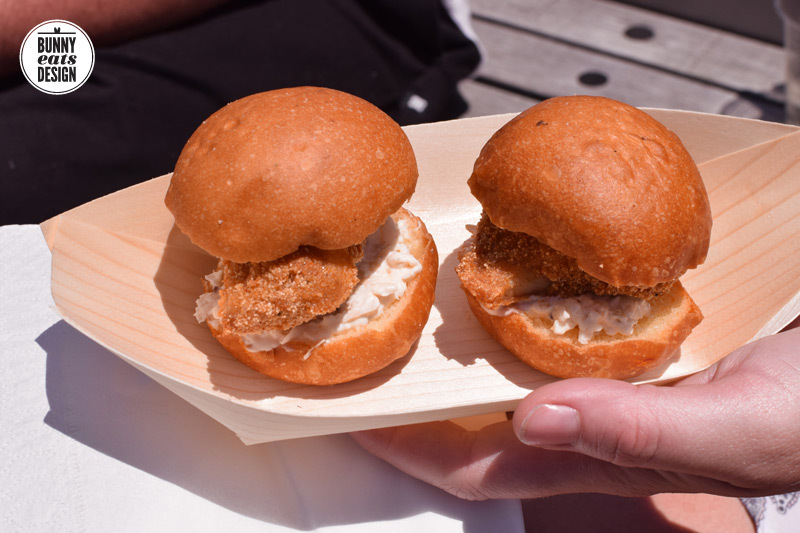 The fish sliders were from Xacuti and described as Semolina crusted crispy fish sliders, with celeriac remoulade on saffron bun ($9 for 2). The saffron bun was lovely and brioche-like, though a touch more remoulade would have been nice, but I’m a bit of a sauce fiend. Xacuti is a Portugeuse/Goan restaurant in Howick. 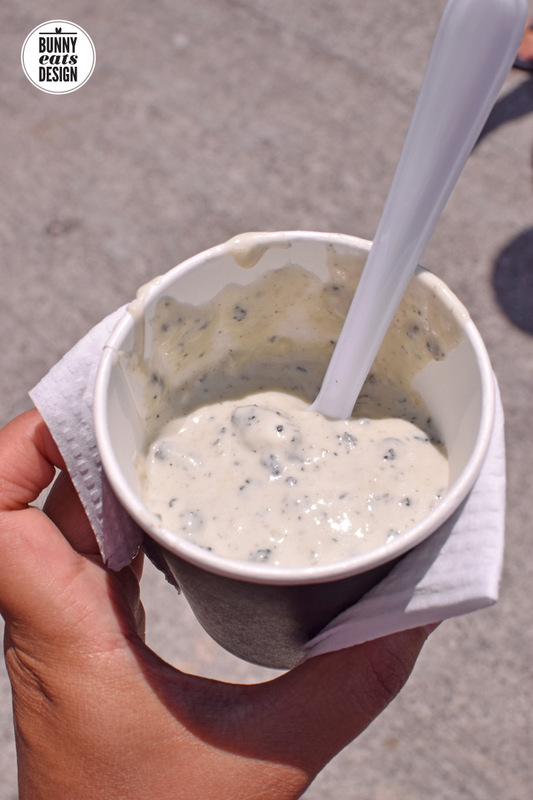 I finished my degustation with the creamed paua from M&L’s. Paua (also known as abalone) is a large black shellfish which is known for being tough. Chopped, cooked and stirred into a thick cream sauce, this was exactly as advertised, though not much to look at and I realised later that I wasn’t given any accompanying fried bread (maybe they had run out at that stage). All up, The Koala and I spent under $60 on food and drink per person which was reasonable given the range of foods we sampled. 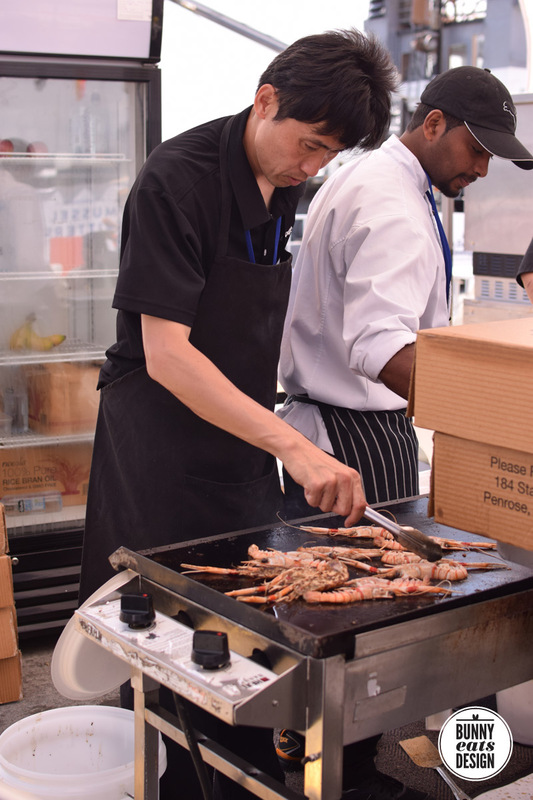 The food is a little on the pricey side, given the smallish portions, but it’s a fun day out and a great chance to sample a whole lot of seafood in a short amount of time. 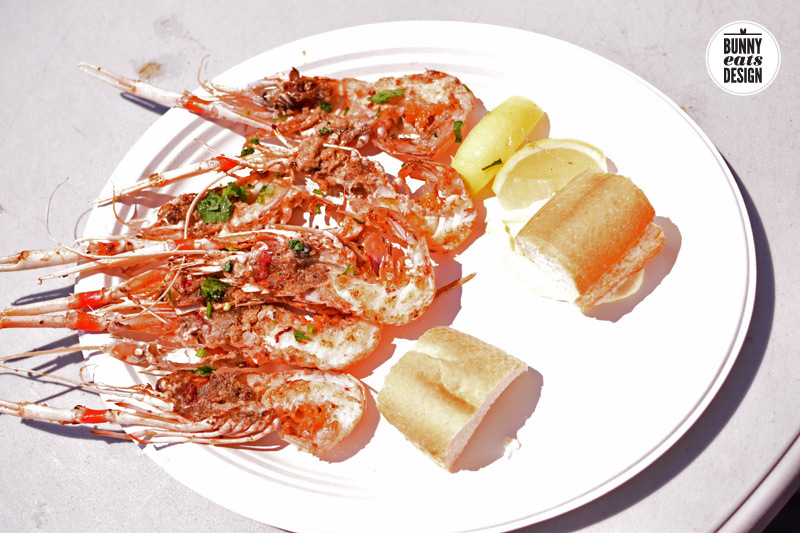 Not something for the budget conscious (though there are budget options) but a great treat for a seafood lover. 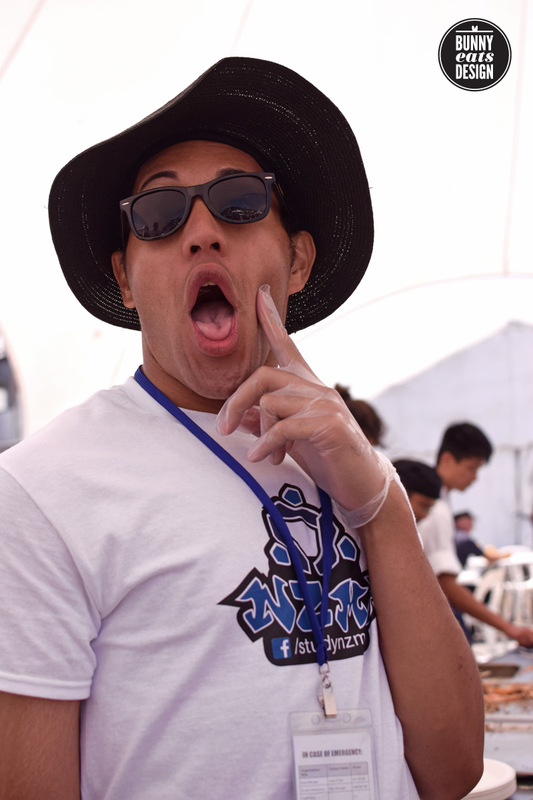 The super adventurous might be a disappointed with the departure of The Wild Seafood Challenge this year. It’s always a highlight for me. 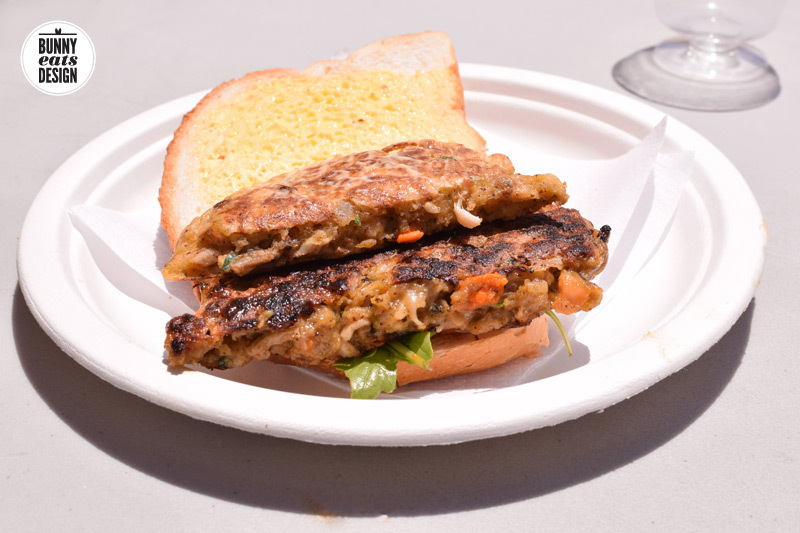 I hope it comes back next year, though without it, I was able to sample more dishes of my choosing. …was easy to maneuver. Made buying quick and easy and I’m sure this was responsible for he quick moving lines. No troubles getting a refund at the end including our $2 bond on the card. 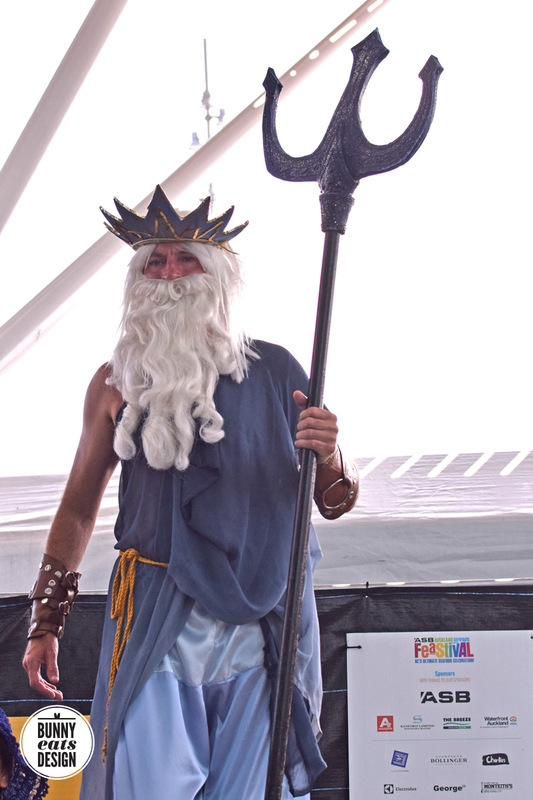 It’s not too late to get down to the festival today. The evening session starts at 6.30pm and goes until 10pm, coinciding with Auckland Anniversary celebration fireworks at 9.30pm. The final session tomorrow is your last chance to indulge! 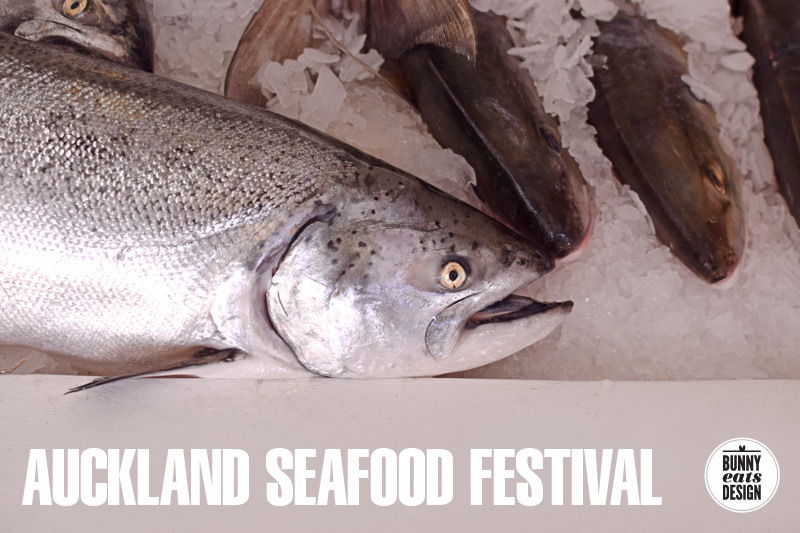 Get your tickets at the Auckland Seafood Festival website here or buy tickets at the gate. 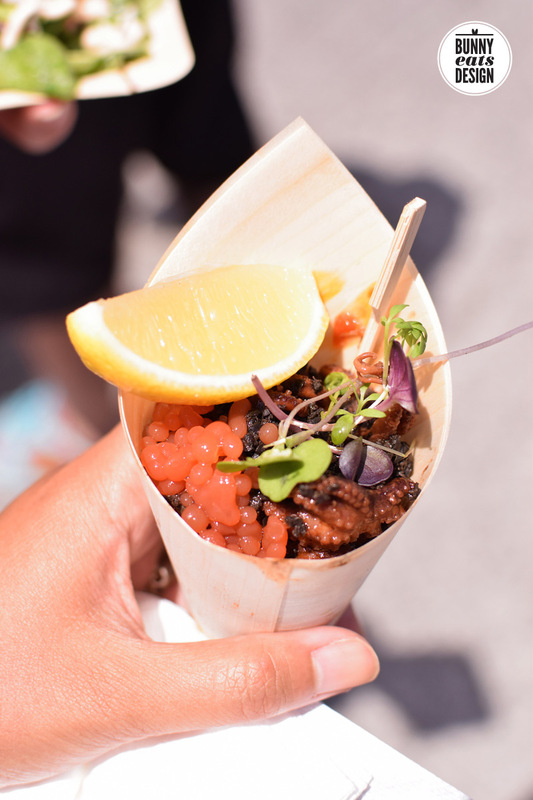 For those that are going to Laneway on Monday, present your ASB Auckland Seafood Festival ticket to receive $30 off your Laneway door sale ticket! Looks like a great day out. That pulpo dish looks amazing! Hi MIss Natallia Bear, thanks for the feedback. The evening session had a great music lineup (possibly worth the ticket price), but I can imagine the long lines would make for an unpleasant experience. I hate waiting in line! The day session I went to wasn’t busy but the music wasn’t as good, the “queues” we joined were 1-5 people deep. Yowzas! The crayfish line was the only one that looked that long so we skipped it. 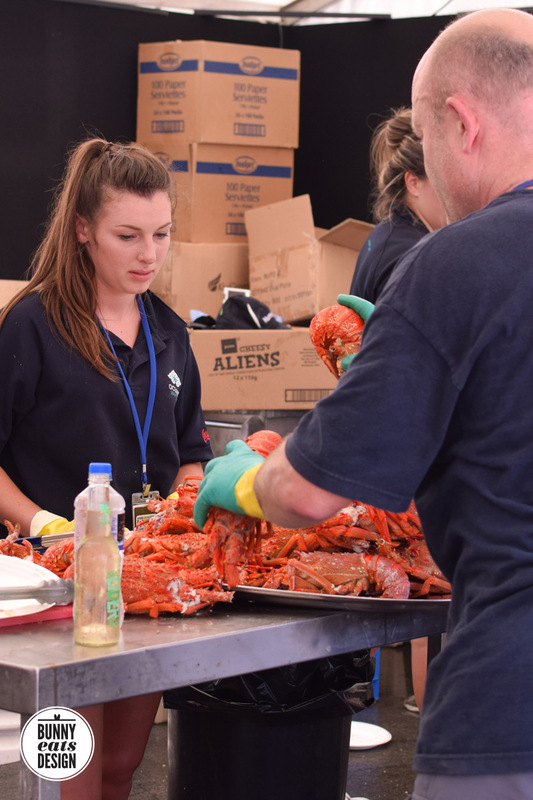 I also went to the night session and was underwhelmed 😦 some vendors weren’t even open and massive lines especially for the crays, whitebait and scallops. Unfortunately I was looking for some nice fresh, or steamed mussels, but was looking at only oysters for most of the night. Left after 2 hours. The music was awesome – that was my only positive. Oh dear, sounds like they totally overbooked the night session. It sounds like the night session was busier than the day sessions combined. Oh mannnn… yum! I really wanted to go to this, this year and last and both weekends were weekends we happened to be away! 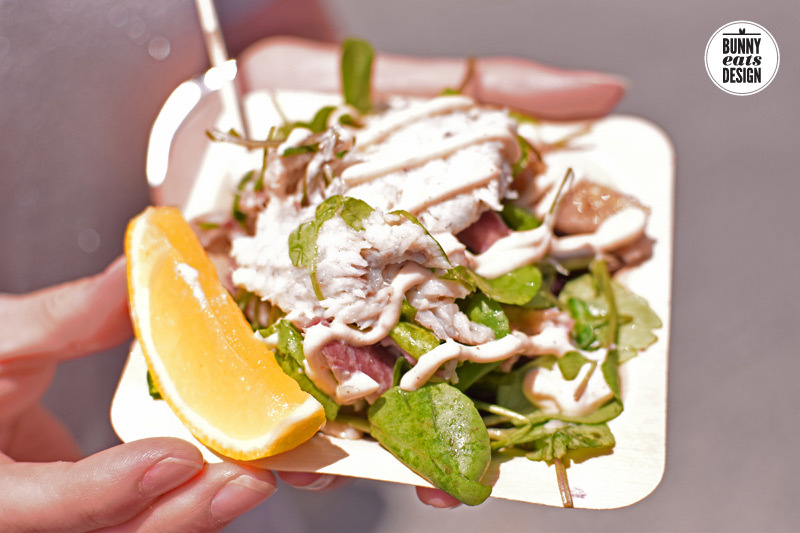 Previous PostAuckland Seafood Festival 2015 is almost here!